Outreach marketing is a strategy to find and connect with individuals or businesses that have a shared interest in your business. It is often used for the mutual benefit of both parties whether it’s for combined sales or to improve brand awareness. Some reasons Why Businesses use Outreach Marketing? Outreach marketing is about creating and building rapport, strengthening relationships and growing new business. 2- Target audience: the intended audience your campaign is trying to reach. 3- Influencers: opinion leaders who are considered ‘authorities’ in your field, product or services. They can be popular bloggers, established brands, or media professionals. Small businesses lack the big budgets that established brands have to lavish on large scale campaigns that can draw crowds. Fortunately, digital advancements have made it possible for smaller companies to also engage in multi-faceted activities that may be inexpensive but highly effective. We have mentioned some top benefits of Outreach Marketing for Small Businesses below. Companies can mutually benefit from reaching out to others. Combining your resources and leveraging on your strengths can help them grow their customer base. Creating links with opinion leaders is one of the most effective ways to brand your business and sell your products or services. Opinion leaders have legions of fans who believe they are the ‘authority’ in the field. If they endorse your product or service, then it is highly likely their loyal fans will also want to buy from you. Outreach marketing operates on the principle of ‘reaching out.’ Using third-party endorsements and other tactics can help you get your business to more web users. Outreach marketing is an effective way to add value to your original content. More established online personas have a wealth of experience reaching out to their audiences. Your business can benefit by analyzing what they do and modifying activities to suit your business. Outreach marketing focuses on building relationships and creating connections. It is the ideal way to add a ‘human’ angle to your online activities. 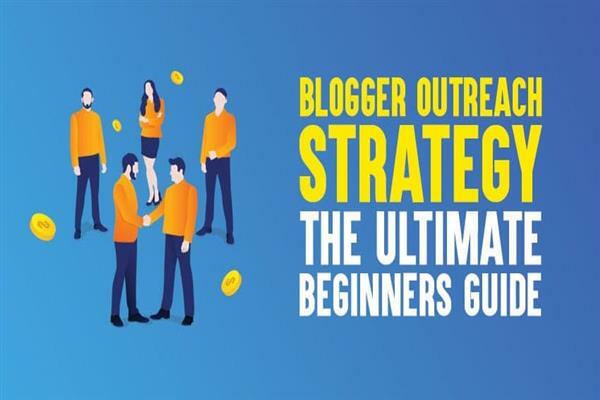 Outreach marketing employs a series of carefully crafted tactics and techniques that can include blogs, links, post and so forth across all digital platforms to add a personal touch to all your online activities. What are some of the activities in an Outreach Marketing Campaign? Outreach marketing does not stick to only one type of activity. Instead, it combines a multitude of activities to create a seamless campaign to systematically get your brand out in the crowded WebSphere. Outreach marketing is not just about building relationships and brand awareness. Outreach marketing campaigns can also involve selling activities, for example, creating links to product descriptions on e-commerce platforms. If your business already has an established community, reaching out to guest bloggers to post on your site can help you increase your readership. Outreach marketing companies have a list of all the influencers they need to approach for your business. To get an influencer to endorse your business, they may offer additional exposure, for example, a link back to the blogger’s own site on your website, blogs or social media platforms. Outreach marketing identifies other individuals or businesses that can have a mutual gain from working collaboratively with your company. Activities in a collaborated campaign can include sharing each other’s customer base, joint promotion, and knowledge-sharing. Working with others with similar interests and objectives can give your business unlimited access to great content like exclusive photographs, articles and so forth. Outreach marketing is word-of-mouth marketing. Taking the time to build relationship and trust with a key influencer can earn your business a free shout-out to their millions of followers thereby increasing your reachability. An outreach marketing campaign can be used to increase readership by creating more opportunities to get your brand out to web users. Outreach marketing strategies can also incorporate activities like links and CTAs to convert readers to customers thereby increasing sales and growing business. Search engine optimization is about getting your website, video tabs or articles to rank higher in Google Search. The higher you are on the search engine, the more likely prospective customers will find your business. The more customers are accessing your website or social media, the more likely you are to grow sales. Outreach marketing strategy incorporates search engine optimization techniques like backlinks, keywords and phrases and quality content to increase your rank positioning. Outreach marketing campaigns are technologically driven. This means you can have measurable KPIs for campaigns that you invest in. This means it is easier for you to track your ROIs in marketing campaigns. Some of the KPIs digital marketing can measure include the number of visits to your website, number of shared links, number of likes and number of customer converted. This information provides valuable insights to help you streamline online with offline activities. Most digital marketing companies operate in the cloud. This gives you unlimited access to data storage without having to invest in computer software and hardware. Ultimately, outreach marketing is about bottom-lines. Every activity you carry out in the online space must aim at achieving bottom-line efficiencies whether it’s growing sales by converting readers or streamlining operations to only those that are showing right ROIs. For more information on how outreach marketing can help your business, speak to the experts at GoForPost today.